This beautiful city is the capital of one of the most interesting and attractive among all the Italian regions - the islands of Sicily. The symbol of the city is the Norman Palace, which was built by the Arabs. It should have turned out to be a well-fortified citadel and as a result, a luxurious residence turned into a central monument of the city. 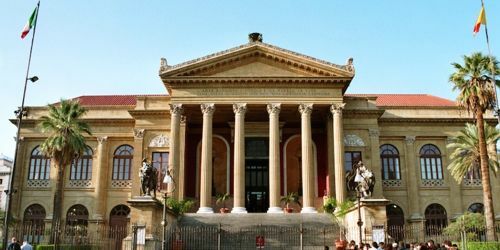 Palermo has preserved a plenty of historical memorials, each of them is a gorgeous interest to see. In the city, each traveler can see many ancient cathedrals and churches, the most popular of them are the church of San Cataldo, Santa Maria dell'Ammiraglio, La Mortarana and the famous outside the country Cathedral Il Duomo. Most noteworthy is that most of the religious buildings were raised in the place of Islamic mosques. One of the darkest and most symbolical places is the Catacombs of the Capuchins. This is a real belowground city, that was built by monks during the Middle Ages. The uncommon features of the underground atmosphere made it easy to mummify bodies, so for a long time, the Catacombs were viewed as the most prestigious place for burial. Today there are about 8 thousand sarcophagi in underground tunnels. These are just very few places to be explored in the city of Palermo. The service of renting modern minivans works exclusively for those who need quality, safe escorts while traveling through incredible Palermo. Here, everyone can choose the right vehicle with the help of the site and book it right there. Upon arrival, the service will bring the minivans straight to the airport, where a reliable driver will meet the tourists and drive them to where they wish. Just send us a quote now and book a minivan with a driver and you can feel free to wait for your arrival in the city. Our company is relying on a good provision of customer service as we know that it is all about bringing customers back. And about sending them away happy - happy enough to pass positive feedback about our rental services along to others, who may then try them for themselves and in their turn become repeat customers. The minibusses provided by our company are equipped with everything necessary for an excellent trip through such a marvelous city. Each minivan is in perfect condition, it is cozy and clean inside the cabin, it is designed with taste, so all passengers will feel comfortable and very cozy during the trip. 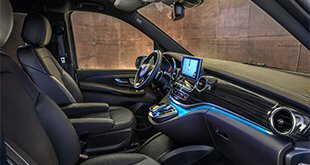 The minivan of this service is not just a means of transportation, it is also a place where each can relax on comfortable armchairs with seat belts, listen to music or watch a movie with the help of an audio and video system. In addition, in case of weather change, there are air conditioning and heating system in the cabin. Experienced drivers will take tourists wherever they wish and will do everything quickly and safely. Sitting in one of the minivans of this company anyone should not be worried, as the safety of all passengers is at the highest level. Drivers are kind to all tourists, very punctual and can always help in any situation, they speak several languages and have no bad habits. The work of this company is on top, and the high quality of customer service leaves no doubt. 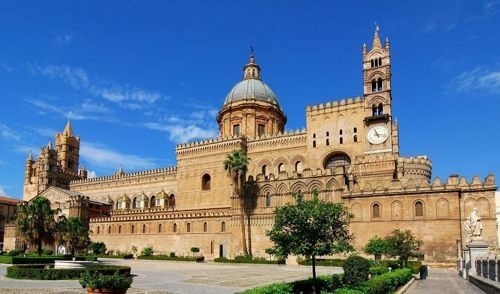 The best option for traveling in beautiful Palermo is renting a reliable minivan with a driver with 8rental!